Jewelry making has evolved over the many centuries. Throughout history we have witnessed numerous designs, trends and styles make their mark. While some styles have stayed relevant, many others have faded into oblivion. One of the biggest jewelry trends that existed centuries back and is still considered fashionable is the Victorian style. Not only has styles and trends evolved over the years, craftsmanship has also seen drastic improvements. Technological advancement has allowed traditional as well as modern craftsmen to try newer and intricate designs on various precious metals and gemstones. Sterling silver is considered one of the most commonly used metals in jewelry making as the soft shine of it can be combined with numerous precious and semi-precious gemstones to create beautiful necklaces, pendants, earrings, rings, bracelets and so on. Among the various types of jewelry designed by artistic craftsmen, whistle pendants are one. They are usually small pendants designed in the shape of a whistle and made with sterling silver. Sterling silver whistle are delicate jewelry pieces that can ideally be gifted to someone special. 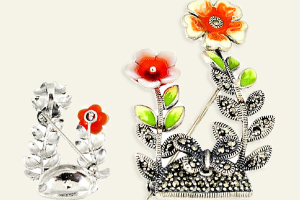 Silver whistle sterling jewelry are very uncommon and not many people know about them. If you love gifting unique things to your loved ones, then there cannot be a better gift then whistle pendants. There are many reasons why you can buy silver whistle pendants and below we have mentioned a few. 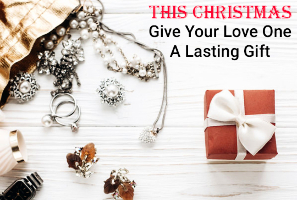 • Unique Gifting Option – There is hardly a better way to surprise a woman then to gift her a jewelry piece. A small, intricately design pendant can be an ideal gift and this is exactly what a sterling silver whistle is all about. 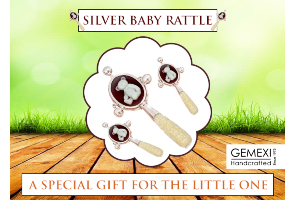 It is a unique gift for someone special. • Intricate Designs – You can find examples of excellent craftsmanship on whistle pendants if you buy a really good Edwardian style pendant. Intricate designs that are often embellished with tiny but precious gemstones make sterling silver whistle pendants different from other types of jewelry. • Small Size – Many women do not like heavy jewelry but are fans of tiny jewelry items. These are perfect for such types of women who love unique but small jewelry pieces. Whistle pendants comfortably sit on the neck of a person and look distinctive and elegant. • Value for Money – One of the many reasons why sterling silveris so popular is because it can be purchased at considerably low price. You can easily get a good sterling silver whistle pendantwithin your budget without compromising on quality or design. There are many places where you can buy whistle pendants. While they may not be available at your neighborhood jewelry store, there are many gift shops where you can find them. However the best place to look up for them is online as you will get all types of designs on one of the many online jewelry stores. 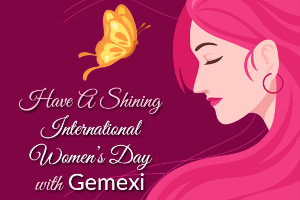 Whether you want to buy wholesale silver whistle pendants or only a single place, one of the best places to shop online is www.gemexi.com. The store has a wide variety of whistle pendants that will meet your need as well as your budget.